Increased profitability and business growth. If your sales CRM is too complicated, you lack time to actually sell. With Adapt’s CRM software you’ll be able to focus on winning more customers with more time for relationship management. 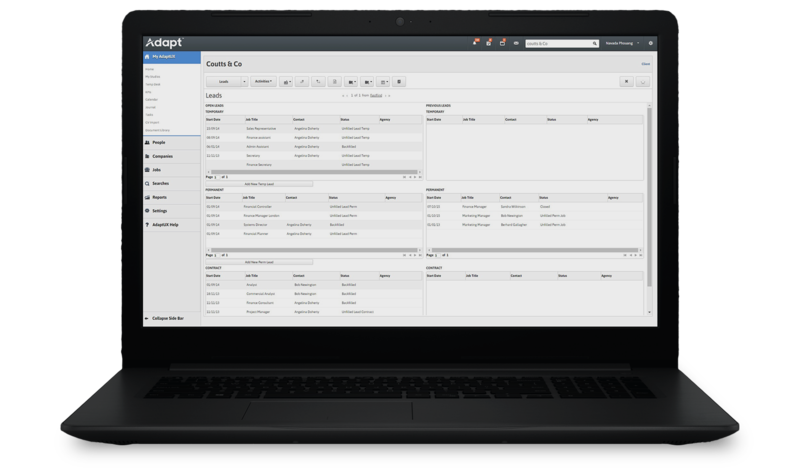 Adapt Sales Studio allows you to work fast within one screen to manage all your contacts and call activities. Easily find whatever data you need to help you manage opportunities, make progress on deals and get back to selling. 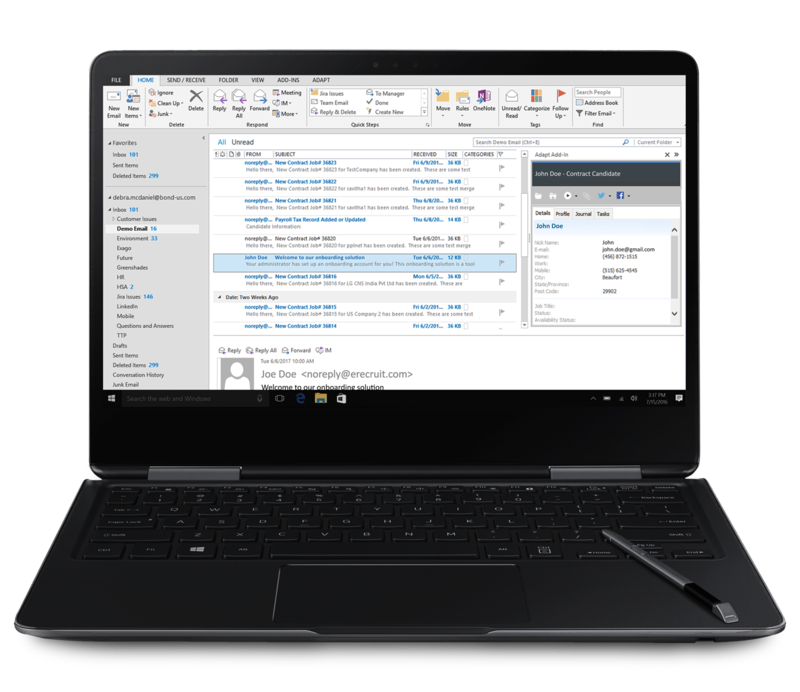 Adapt syncs with Outlook to save you time and keep you organized. Simply drag and drop search results to organize contacts, current priorities, meetings and call lists eliminating the hassle of switching between systems. 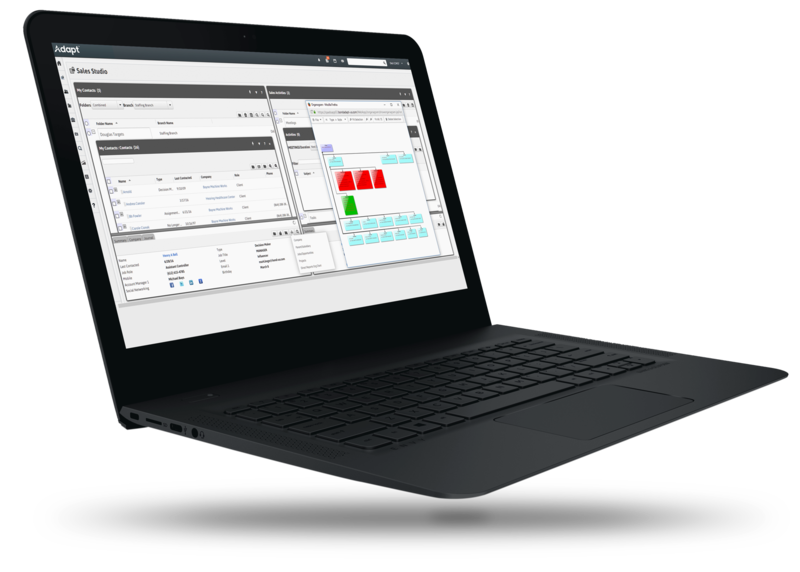 Manage your sales process from one screen. A single button shows job orders without activity so you know what needs prompt attention. Check on job openings and be first to present top candidates to clients. Forecast and pipeline reports help you gauge upcoming opportunities keeping you ahead of the competition. One click delivers the contact’s background, communication log and previous notes taken for better preparation ahead of calls. Find new leads with auto-generated organizational charts for a clear view into the relationships between contacts. Leverage successful placements and easily navigate through records, including those with no activity, to determine lead generation opportunities. Close more sales with fewer clicks.